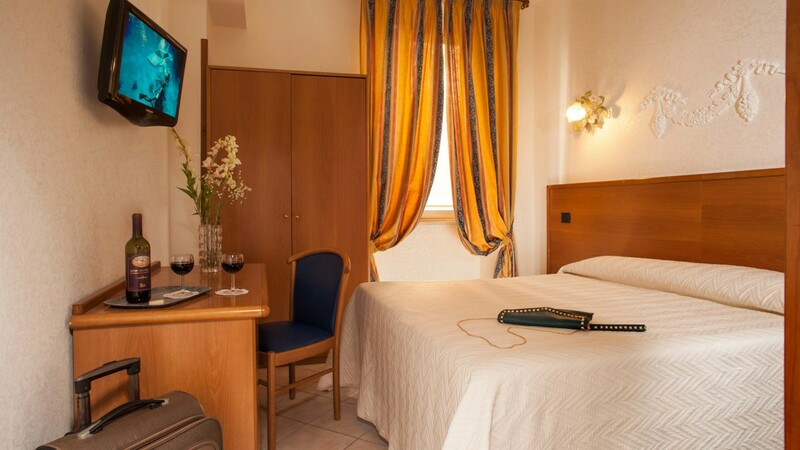 Since 1976, Hotel Grifo has been synonymous with Encounter: the meeting point between the staff and our guests. Hotel Grifo’s staff believes in your Journey, because journey represents the place where we meet not only others, but ourselves as well. In a Journey, differences make a difference, and for that reason our staff, each with his or her own style, awaits new guests to welcome and to share about our city. 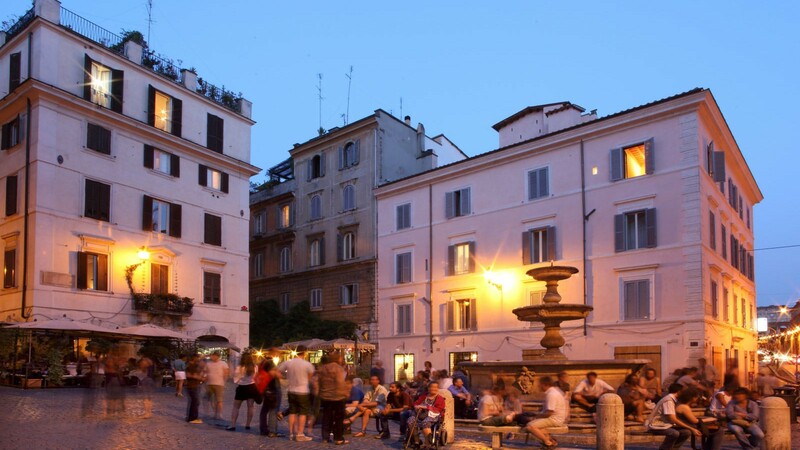 Today Rome offers a vast number of lodging options. 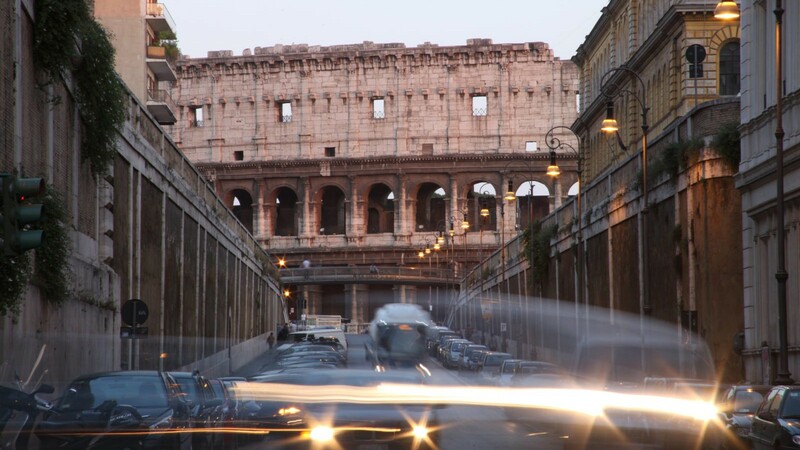 With more than 40 years of experience and having welcomed over 600,000 guests, we are able to show you how to live the Eternal City like real Romans; all the more important in a metropolis where finding people to interact with and relate to becomes more and more precious. 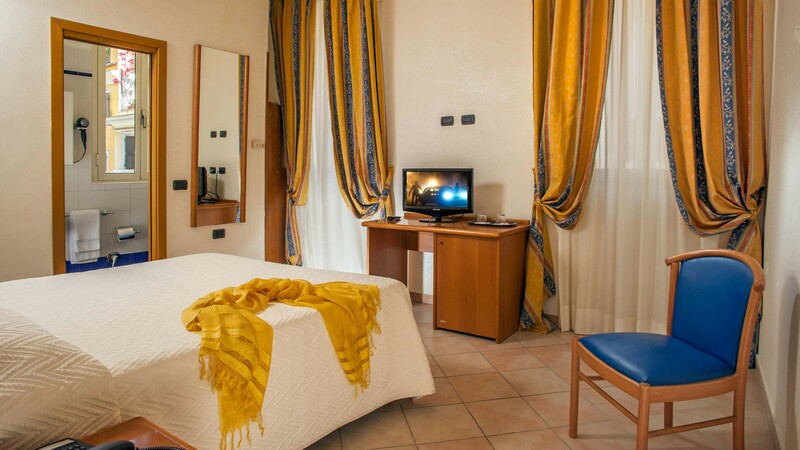 Hotel Grifo is more than just a room. 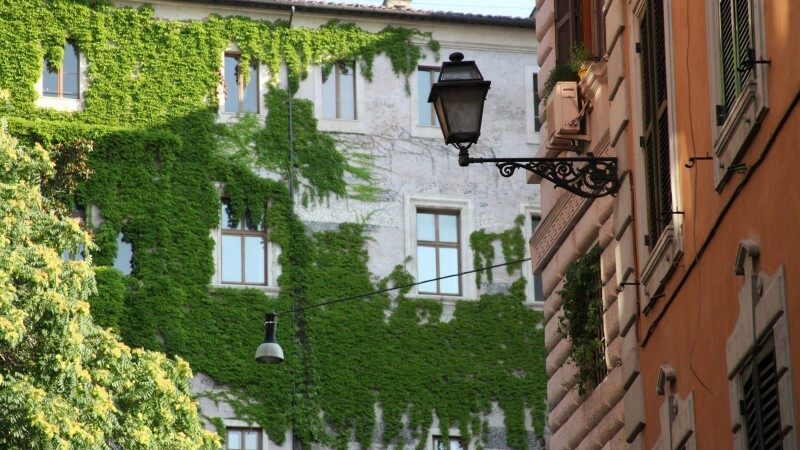 After the fall of the Roman Empire, our zone, anciently called the Suburbs, where Giulio Cesare was born, has slowly turned into a wood, as pointed out by the name “via del boschetto”and other sorrounding streets. 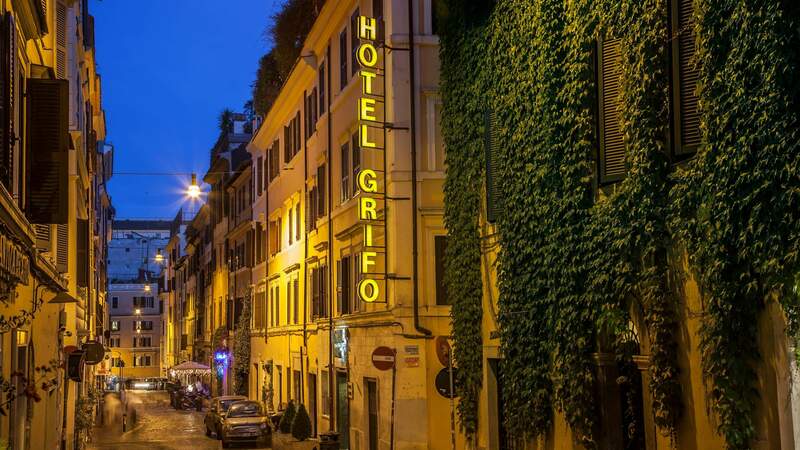 The Grifo hotel has been a World Heritage Site since 1980. A room with a double bed for single occupancy. 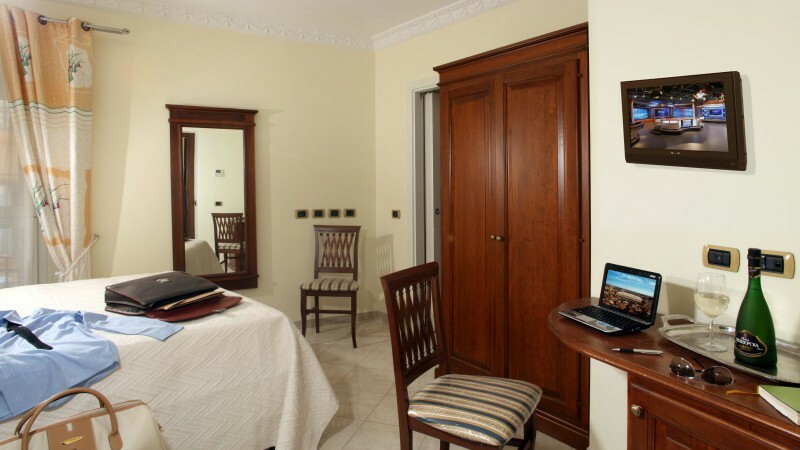 The rooms have a private bath, a/c, Wifi, telephone, TV and a desk. Its form has been unchanged for at least 300 years. The name says it all. For romantic couples, for smokers, for those who can’t travel without their dog, for those who want to sip a drink as they enjoy the view. As its name suggests, a room for three guests. Often the triple rooms were created when two rooms were joined 30 years ago. With private bath, a/c, Wifi, telephone, TV and a desk. Years ago, a group of four friends stayed in our quadruple room, and since then they have come back as couples with their children. 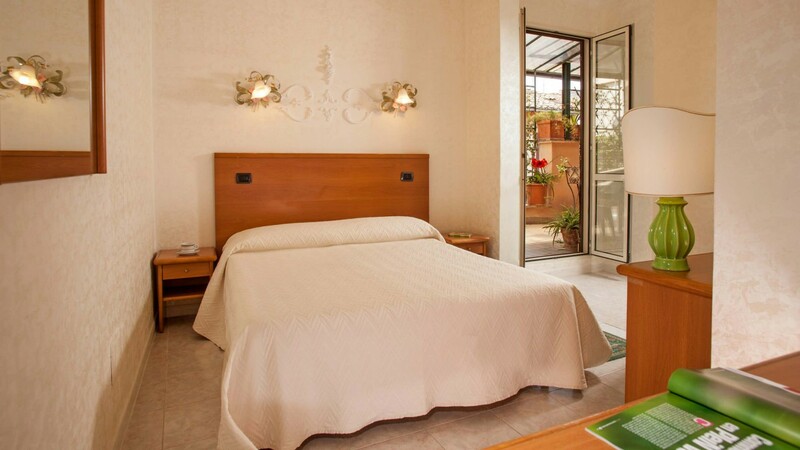 The hotel’s success and the high number of guests led us to expand with rooms a few steps away from our main building. 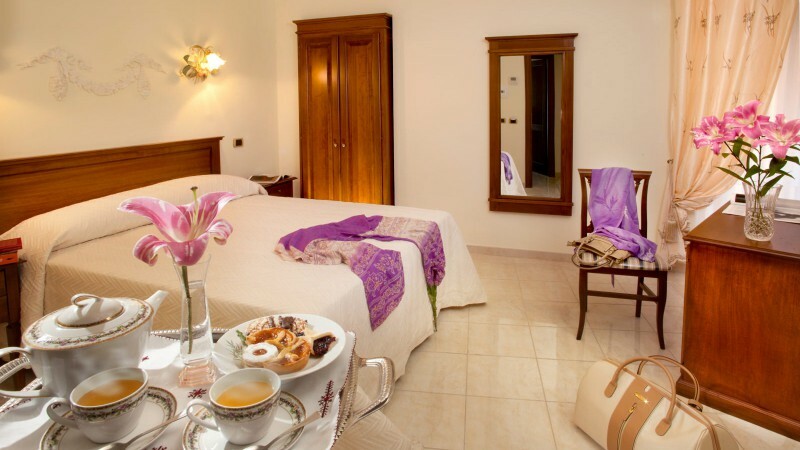 Located in historic Roman buildings, our rooms are compact and functional, and are carefully cleaned daily. 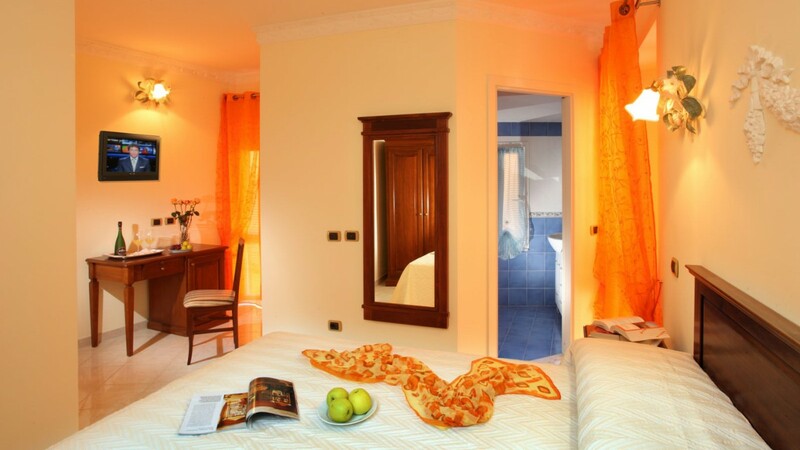 We offer our guests a vast selection of rooms to fit every need. The hotel meets all the standards of secutiry. All indoor areas of the hotel are non-smoking. Services taken care of in the smallest detail for a perfect stay. 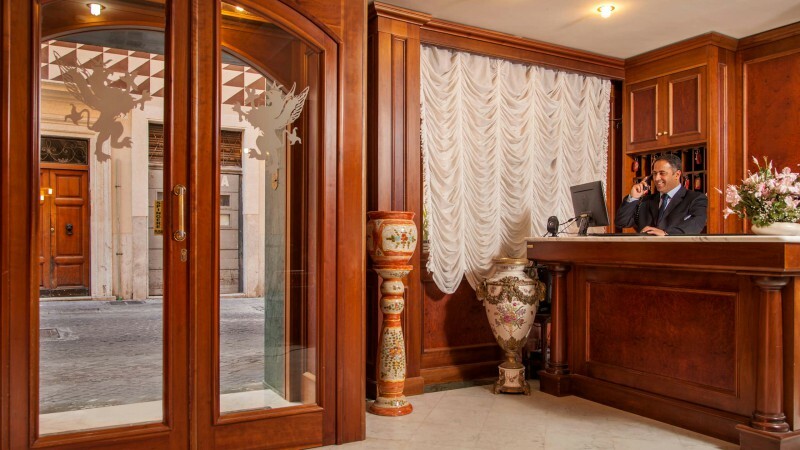 With our Concierge Service it will be possible to personalize your stay and avoid queues by booking events, museums and monuments directly at the hotel. 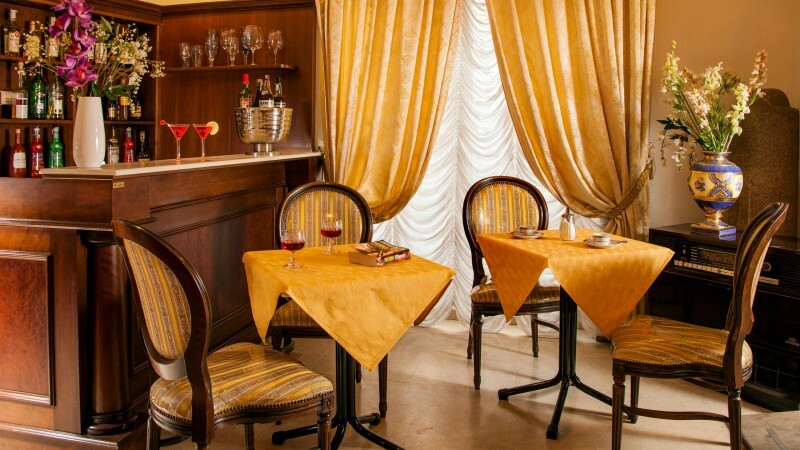 A terrace overlooking the rooftops of Rome is ideal for spending pleasant moments after a busy day. Guests have a rich continental breakfast, always included in the price, replenished daily with fresh products.